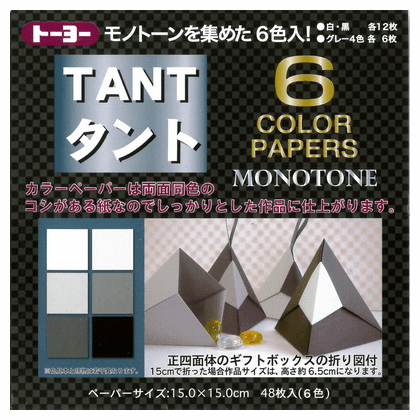 Package of 6" double sided color origami paper. 48 sheets of paper, 12 sheets each of black and white colors. 6 sheets each of 4 different gray colors. The instructions given are for folding the box.